GYRO PATH® NSG BECOMES THE FIRST GYRO SUITABLE FOR THE SMALL / MID SIZED HDD DRILLING RIGS | Bore Path, Inc. 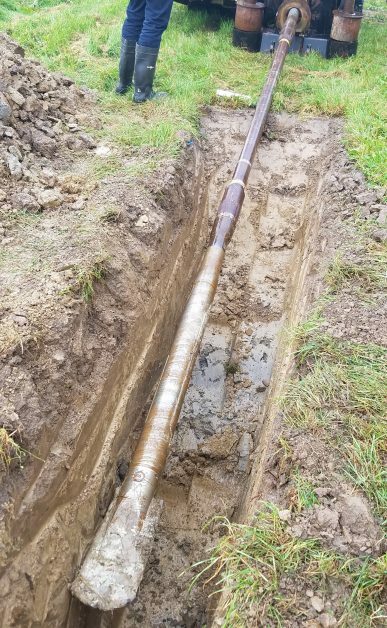 Bore Path Services, Inc. completed a successful testing of its Gyro Path® NSG steering tool product on a small rig (Ditchwitch 3020) using a 3.125″ (80mm) drill collar and 2.375″ (40mm) firestick drill pipe. The small size of the Gyro Path® NSG tool provides drilling contractors and steering service providers the ability to access the benefits of gyro steering technology which have until now not been suitable. This will result in smaller rigs making use of the technology in such ways as to increase their revenues through the addition of drill jobs that would not have been possible for them to complete in the past. As a result, the customer for which the drill is being conducted for will be able to reduce the costs associated with these drills through making use of smaller less costly HDD rigs benefiting all parties involved. The Gyro Path® NSG is the latest in precision north seeking gyro technologies designed specifically for use in bore hole survey and drilling environments.